Surf life saving assists swimmers in distress. Our club was founded on Bondi Beach in 1907, thus Bondi Surf Bathers’ Life Saving Club has been officially recognised as the worlds first surf club. As one of world’s best known beaches, Bondi receives over 2 million visitors every year, but it can be dangerous. Our volunteer lifesavers patrol the beach and rescue swimmers in distress. 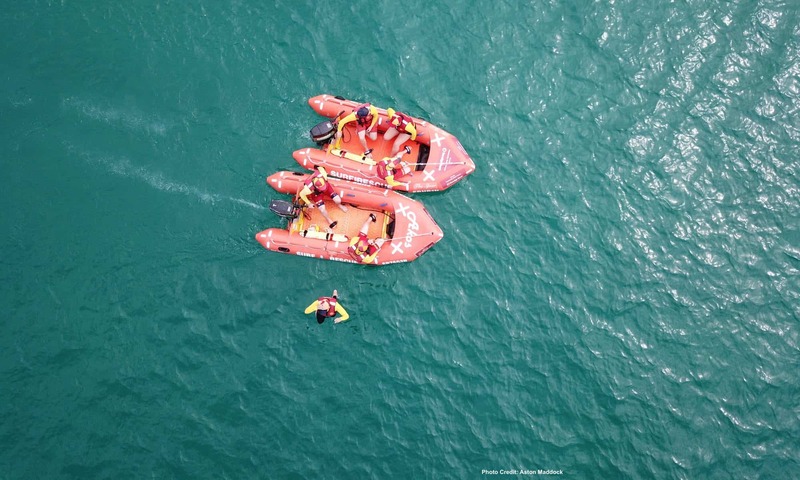 To do this we use inflatable rescue boats, rescue boards and tubes to carry out rescues. We also work with the Lifeguards and the lifesavers at North Bondi Surf Club to ensure the entire beach is safe. Our focus is to ensuring that every year we can report “No Lives Lost” while our members patrol the beach. We believe through education and vigilance we can ensure everyone has a safe and happy day at the beach. Become a lifesaver or junior lifesaver (called ‘Nippers’). We welcome new members and have a number of training courses every year. Our members can compete in a variety of carnivals and competitions, access a range of member benefits, and enjoy being part of a vibrant local community. We are a charity and we regularly work with the broader community on beach safety education. If you would like a surf awareness seminar for a school or community group please contact us. Thinking of holding a wedding or corporate event at Bondi? please consider booking your function in the beautiful “Blue Room”. As a volunteer and not-for-profit organisation, we rely heavily on the kindness of sponsors and donations. If you would like to help in the work of surf life saving at Bondi we would love to hear from you.